Paper Pawz: Simon Says: Anything Goes! Happy Wednesday crafty friends! 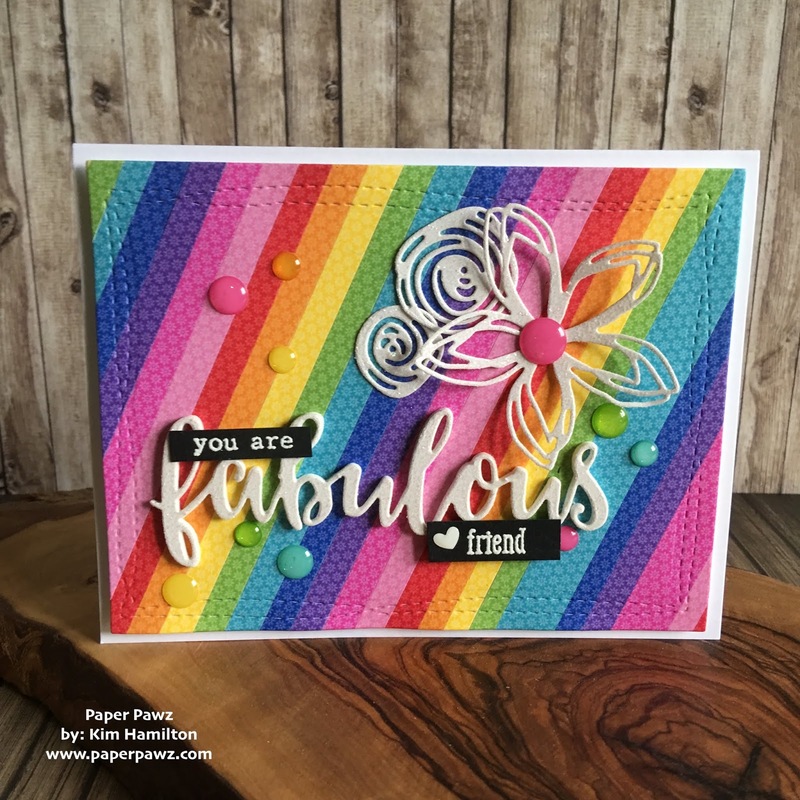 That means time for another fun Simon Says Stamp Wednesday Challenge! 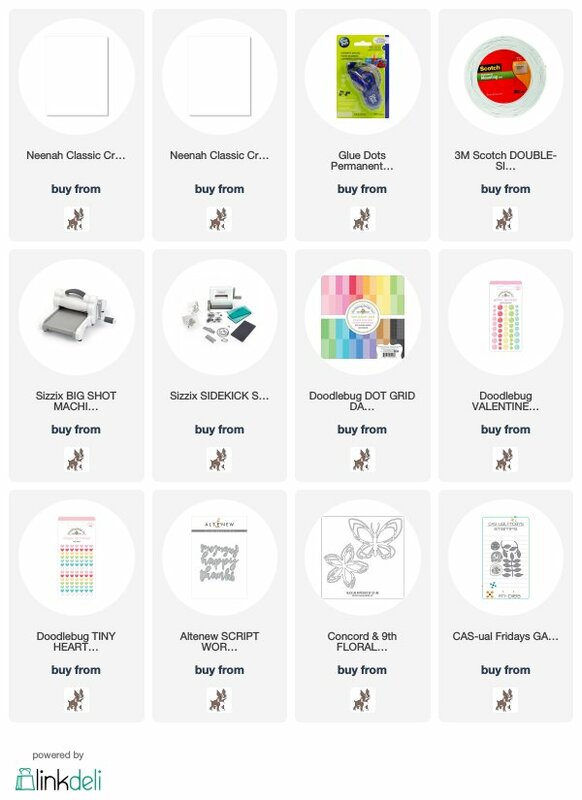 The design team is featuring Doodlebug products this week! 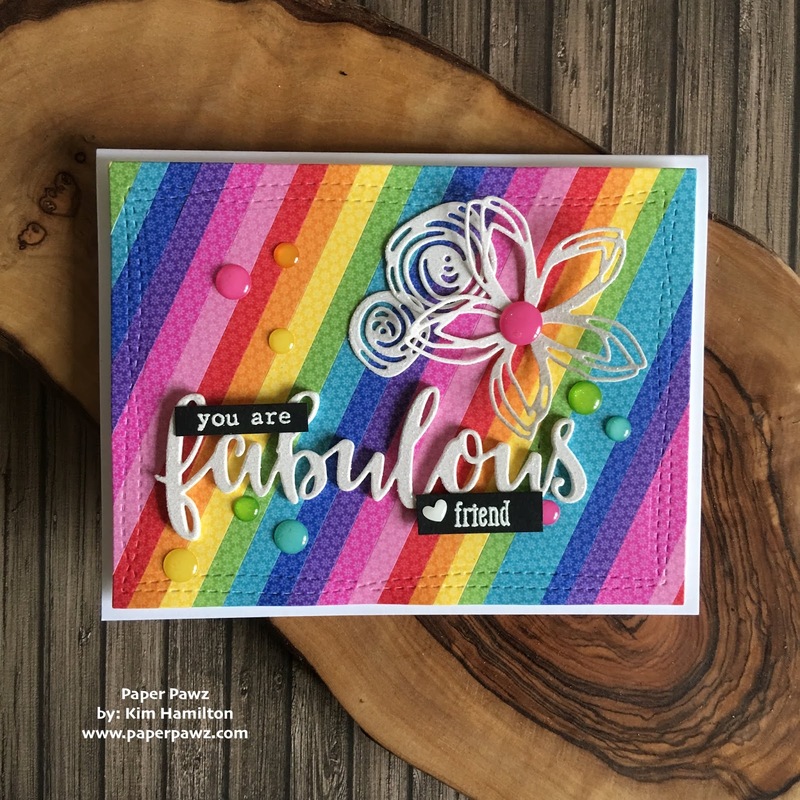 I mean when you are using Doodlebug products a rainbow is in order! 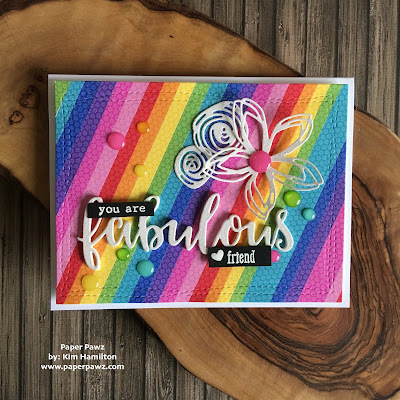 I chose the Dot Grid Daisy Stripe 6 x 6 paper pack. I took the Daisy pattern in all of the colors and cut small strips of paper. I then used a piece of Neena 80lbs card stock and started glueing my pieces in rainbow order on the panel. I die cut the panel using my Wonky Stitched Rectangle die. With all of that color I felt that white would be the best for my die cut sentiment and flowers. 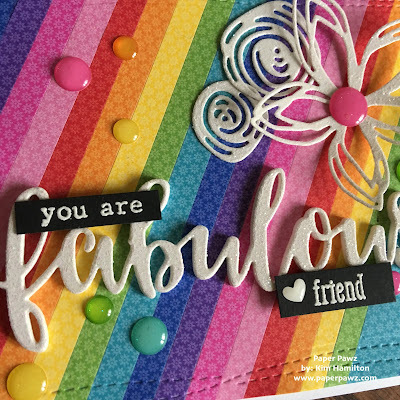 So I used my Tonic White Glitter paper and die cut the Altenew Fabulous sentiment and my Concord and 9th flower along with two of the CAS-ual Fridays flower dies. All of the products used are listed and linked below. I added some Avery Elle sub-sentiments and finished it all off with some Doodlebug Glitter Sprinkles. I used foam tape to place my base panel on the Neena 110lbs card base! Come join in the fun at the Simon Says Stamp Wednesday Challenge for a chance to win a $50.00 gift voucher.